This is it! A spectacular custom home with magnificent valley views. 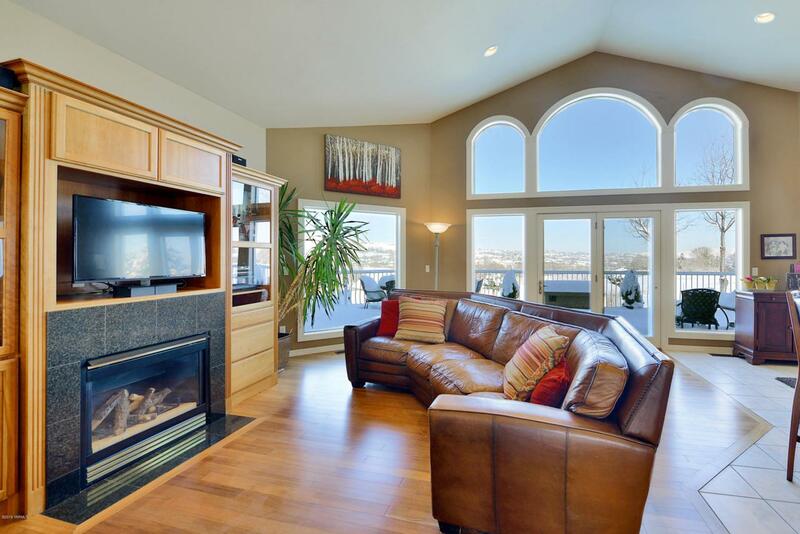 This quality-built home is located at the end of a gated driveway. 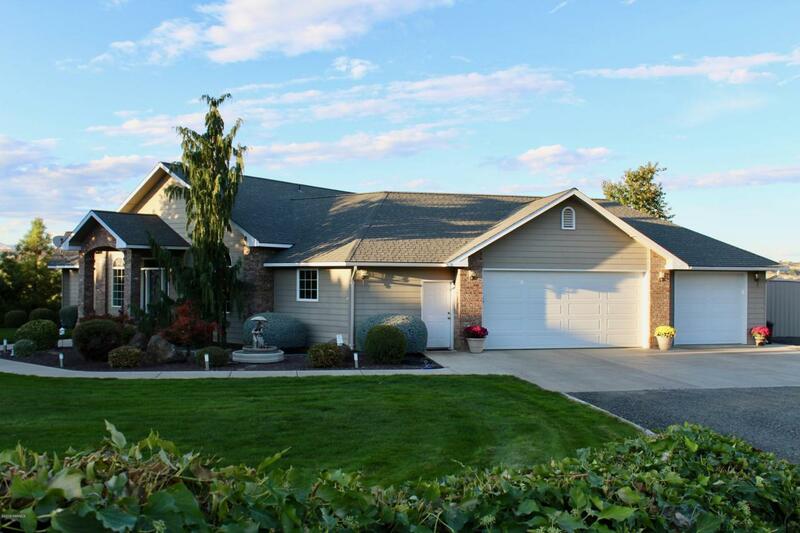 Meticulously maintained home throughout. 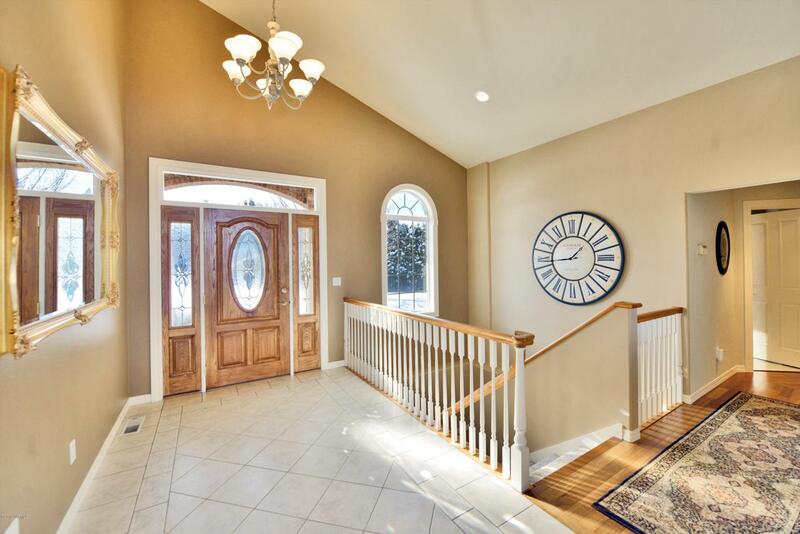 The front entry is grand with soaring ceilings, as soon as you step in the door you will see the fantastic valley views. Continue into the front living room, with beautiful hardwood floors, built-in cabinets and gas fireplace. The kitchen is designed for entertaining and open to the large living room. The views are captured through the wall of windows in this living space. Step out on the deck and it feels like an additional living space. Thoughtfully designed for indoor and outdoor living. Custom details have been added throughout this living and dining space.The formal dining room is around the corner and can easily entertain a big group. Just off the garage, stepping into the home through a fantastic utility/mudroom. This room is awesome, tons of storage and work space. A half bath is nearby and is handy for a quick clean up before entering the home. Hardwood floors lead down the hallway to the home office and master suite. The master suite is everything you would want, spacious and bright, large windows to invite the view in. A jaw dropping master bathroom complete with stone walk-in shower and custom cabinets, you will love getting ready each day in this spa like bathroom. Downstairs is perfect for entertaining. A huge rec room with mini kitchen, space for home theater and much more. This is a walk out living space to the huge backyard. There are 3 large bedrooms on this level, tons of storage too. This home is designed for entertaining and lots of family fun. Step outside to the manicured yard and let the fun begin. Complete with a two-hole golf green, just outside your door. There is an attached 3-car garage complete with an extra deep bay, ideal for a boat or camper. There is plenty of room for all your recreational toys. You will be impressed by all the extra features, and storage this home provides.